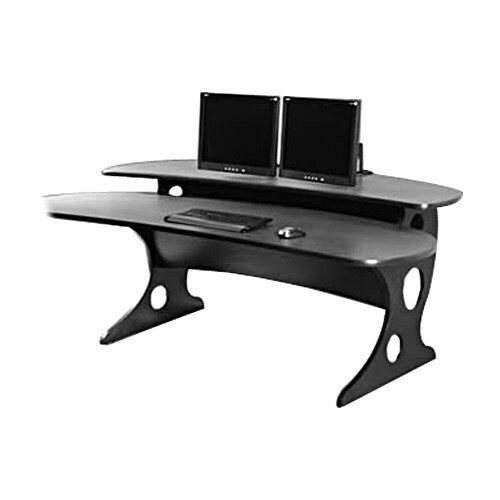 The GC1-A Imagemaster Edit Console from Forecast Consoles is a pre-engineered console with a 7 ft countertop and 6 ft x 18 inch bridge. It has a modern design and features a laminate countertop, laminate base, and black vinyl edge. Box Dimensions (LxWxH) 96.0 x 54.0 x 17.0"